DVS remains committed to delivering the latest technologies and turn-key solutions in the areas of VSAT, Automation and Vessel Monitoring. DVS offers a comprehensive solution for all technology aboard yachts worldwide, meeting the needs of clients exploring some of the most remote areas of the globe. As technology continues to evolve at an exponential rate, the freedom of staying connected both on land and at sea is critical to everyday responsibilities. Our qualified staff offers support throughout every aspect of a project, even at a moment’s notice should an emergency arise. We truly pride ourselves in unsurpassed installation and service, providing round-the-clock technical support from an engineering team with over 150 combined years of experience. You’re always in good hands with DVS! Contact us for additional information. Or, for immediate assistance, Live Chat our team. DVS offers a complete AV and control system designhouse specializing in Crestron, AMX and RTL Programming. We provide complete smart integrated turnkey solutions for clients on all three of these control systems. We also provide remote monitoring and programming packages for these systems. Control lighting, power outlets, equipment, HVAC and more with the control system of your choice. 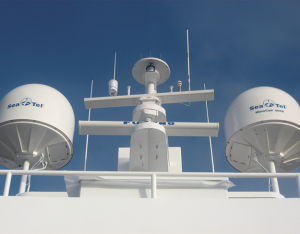 As a teleport owner and operator, DVS provides state-of-the-art, custom designed VSAT packages within your budget. Enjoy the freedom of staying connected with work, while sailing the deep seas. 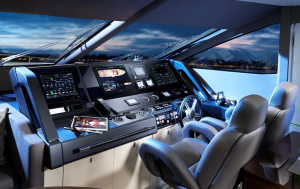 DVS specializes in technology integration aboard yachts, ensuring reliable internet connections and satellite phone service. From installation and maintenance to service packages, DVS is a one stop solution for all your on-board satellite needs. 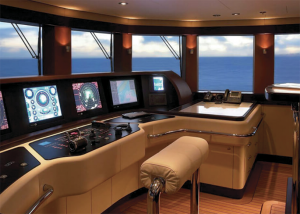 DVS offers a single integrated solution for optimum navigation with SIMRAD, GARMIN, NEMA 2K or Nobeltec, providing complete packages for any size vessel. 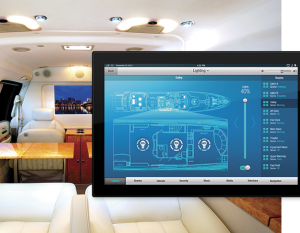 As Yacht technology continues to evolve and improve, we guarantee a truly seamless solution from pilothouse to flybridge, allowing you to reach your destination with efficiency and ease. DVS, in partnership with T3 Automation, provides cutting edge, fully integrated monitoring systems for any size or class vessel. From tanks and engines to power and control, we provide comprehensive monitoring and control from any interface, both on-board and remotely via secure connection. With DVS, control is at your fingertips. Furthermore, DVS is a complete AV and control system design-house specializing in Crestron, AMX and RTI Programming. We provide smart, turn-key solutions for each of these control systems, as well as remote monitoring and programming packages, including control lighting, power outlets, equipment, HVAC and more.